Will play Ukulele for free!.. 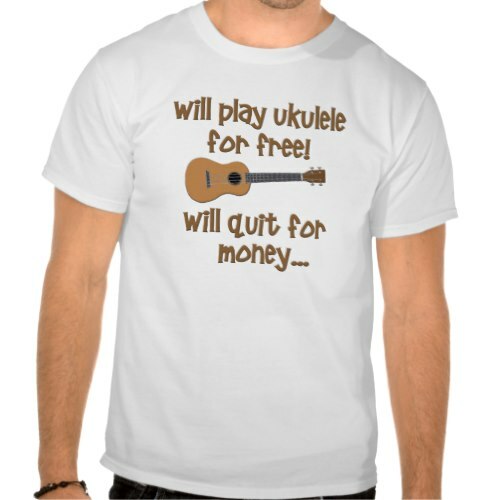 will quit for money..
A funny, humorous t-shirt for the musical geniuses amongst us. A sure shot fundraiser. Do find a way to make use of it for raising money for your favorite charities! Makes a fun gift for friends, family, and yourself.